We are excited to reveal some details about the housing system featured in Revelation Online. 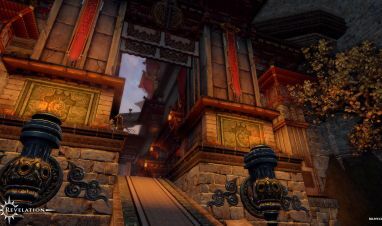 After reaching level 40, players can buy their own private property to decorate, invite friends to and gain daily experience for their characters. These apartments are instances that will be located in the inn on the back of the giant turtle that you can’t have missed in our trailers. On the base floor of the inn is a large lounge where you can meet up with other house owners and on the other floors of the building will be the apartments. These apartments can be fully decorated with over 160 different types of furniture and come in two wildly different themes. Some of this furniture can be crafted through the profession systems in the game and some will even be rewarded for completing quests. Players will get the freedom to arrange the furniture but also can create different spaces for a walk-in closet, a bedroom and even a bath with a spa. Players don’t have to enjoy all of this on their own, they can give the key to five of their friends and they can port to the apartment from any location in Nuanor. Some of the decorative belongings are interactive: the heroes can comfortably relax on the couch or in a chair, take a bath or try on a suit in the spacious closet. Some interactivity will be available to the guests, but will only be fully unlocked to the player’s spouse. The number of objects to use in the apartment will increase in the future and owners can expect to get a garden, pets and staff to help around the apartment. The Housing System will all be available soon after the My.com version in the game goes into Open Beta. Revelation Online closed beta for Europe and North America is planned for the fall of 2016. For more information, ‘Like us’ on Facebook and follow the game’s development on Twitter @RevOnlineGame for all the latest developer updates and news. The brand new trailer shows the roles and play styles of non-gender locked classes of Revelation Online. 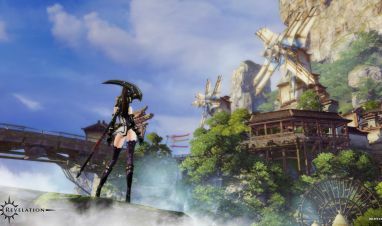 Looking for all the latest information on Revelation Online? You've come to the right place!